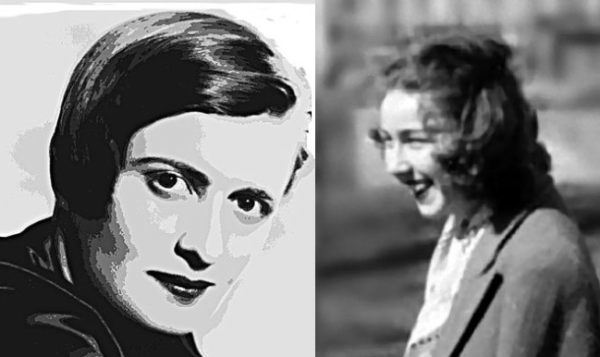 Flannery O'Connor Renders Her Verdict on Ayn Rand's Fiction: It's As "Low As You Can Get" | Open Culture Flannery O'Connor Renders Her Verdict on Ayn Rand's Fiction: It's As "Low As You Can Get"
Ayn Rand made a deliberate decision to write Atlas Shrugged in an ‘alien’ style, not the typical modernist mode du jour. The book is a philosophical treatise with the characters and prose narrative as ‘illustrations.’ The characters are at once archetypes at a remove, and yet realistic for anyone simpatico with her worldview. In my opinion, this choice supported her intention for the book to live for centuries. Reading it 500 years from now, one might note a trivial non-adherence to Modernism, but that would be taken with the same eye needed to clearly see Homer, Aeschylus, Chaucer, Shakespeare, Austen, and Joyce. As for paradox, Atlas Shrugged pivots on a gigantic paradox for over 500 pages. That must qualify as “a genuine openness” to it. If Flannery O’Conner considers it art to leave paradox unresolved, so be it. Ayn Rand does not. I always find the claims that Ayn Rand wrote “awful” fiction hilarious. So awful that her books sell hundreds of thousands of copies years after she died. No, I don’t think sales determine quality. But if the writing was as awful as the critics claim there is no way the books would be this successful. Ayn Rand had a very clear, carefully thought out definition of romanticism in literature which built upon an essay by her favorite author, Victor Hugo. She lays it all out in her signature style with clarity and forceful logic in The Romantic Manifesto. It would have been helpful if Mr Jones would had included this information. Alas, the otherwise excellent OC is laid low with intolerance and political bias. Ironically such a stance is not at all open. The true artist can stand in the shoes of all humanity, and not just those he/she agrees with. Echo chambers have no place in creative art. Atlas Shrugged would be a masterpiece if it were a work of satire. A vicious diatribe on Robin Hood and his Merry Men, the suicide of a young woman horrified by the idea of grannies and grampies on social security, an invisible valley of millionaires hoarding their fortunes, Wyatt’s Torch and its Mission to Advance the Greenhouse Effect, and John Galt drawing an imaginary dollar sign to end the saga are all examples of why. When compared to actual literary works of art, such as the novel’s arch nemesis, The Grapes of Wrath, the difference between Rand and Steinbeck is as stark as the one between death and life.